Here's another time-saver recipe. 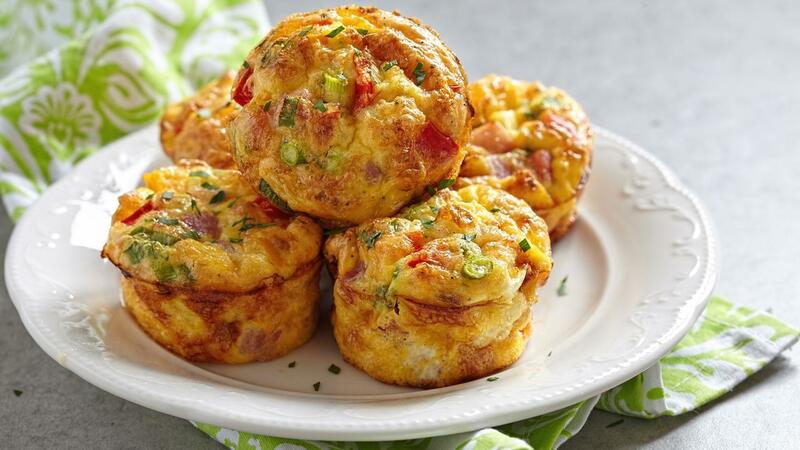 Make these during the weekend and you'll be good to go for breakfast all week long! You can eat these alone or add to a whole wheat English Muffin for a quick and healthy breakfast sandwich. In a large bowl, beat together the eggs with the other ingredients. Spoon ⅓ cup of the mixture into each of the 12 spots in the muffin tin. Bake for 20-25 minutes or until a knife inserted into the center comes out clean. These muffins can be refrigerated for up to 7 days or frozen for up to 6 months.